Traveling from Havana to Varadero does require some advance planning, however. So in this post I’ll walk through the five options that exist for getting there, calling out timing and cost considerations for each one. A trip to Cuba is not complete with a stop at one of the beautiful beaches located throughout the island. Since you’re reading this post, I’m betting that you are at least considering Varadero as one of your beach options. And I recommend this beach without hesitation. 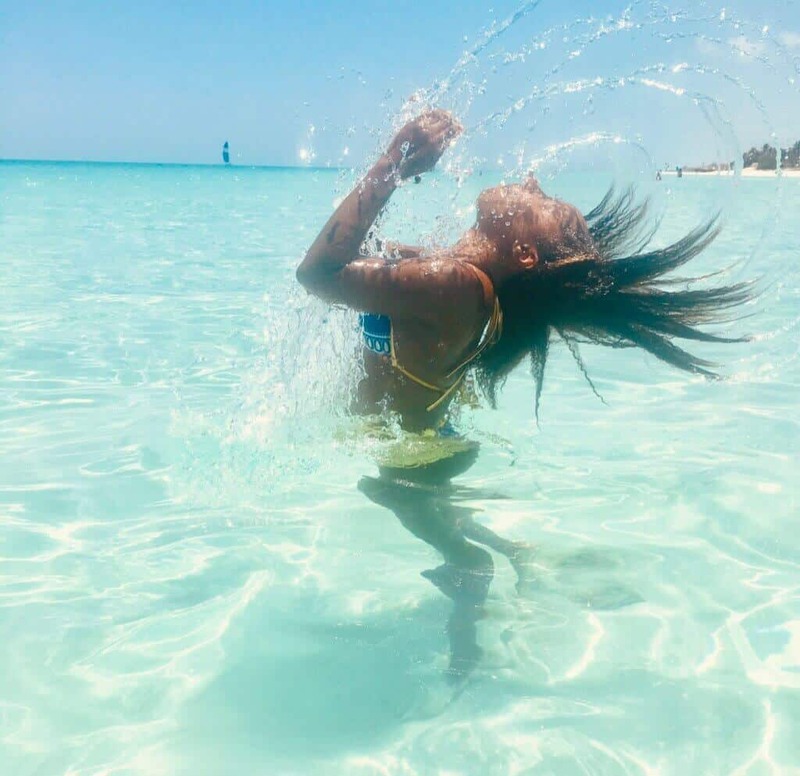 Varadero has THE best water that I have ever experience at a beach and I just loved my time there. Varadero | How Will YOU Go There? To get from Havana to Varadero traveling the most direct route, it is 149.9 kilometers or 92.8 miles. Keep in mind that this is traveling via road and not the train option listed below. When visiting Havana there are beaches close to the city such as Santa María del Mar and Playa Guanabo, but Varadero offers better waters as well as less crowds. 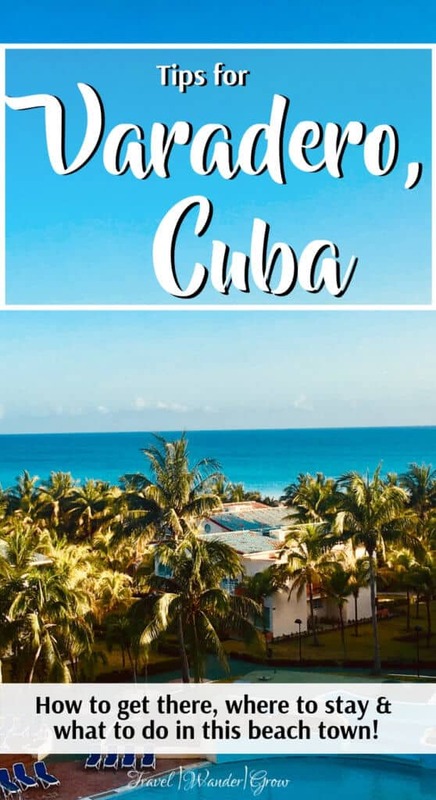 If you are in the early stages of planning your trip, check out my guide to planning a trip to Cuba! As mentioned in the intro, there are five ways that you can get to Varadero from Havana. The method that you choose will definitely depend on your travel budget and how much free time you have. I’ll provide these details for each of the methods listed below. Traveling via taxi is one of the quickest ways to get to Varadero, and in my opinion, the most fun! To book a taxi, the easiest way is to schedule transportation through your Casa Particular or hotel in Havana. 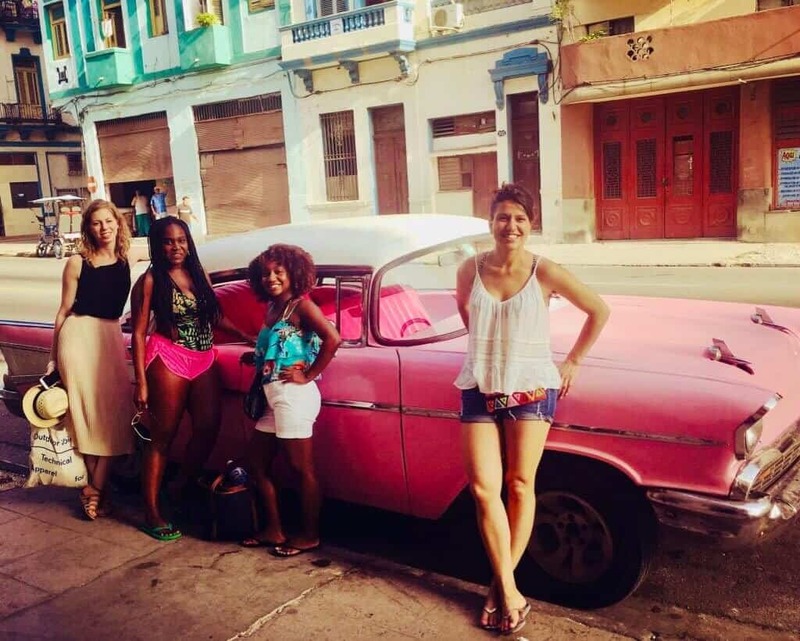 On my visit to Havana, we used the amazing hostesses at our Casa Particular to coordinate our trip. You’ll find that the travel industry in Cuba is often run by word of mouth, but still very efficient :). It is probable that you’ll travel via Classic Car, which is always fun! We traveled in style in a pink Cadillac ;). Time: It will take you about 2 hours to travel by taxi to Varadero from Havana. Cost: The cost will vary a bit based on your negotiation skills, but will run around $90 – $115 each way. This method of travel is most economical if you are traveling in a group. Very similar to the option above, you can rent a car and drive to Varadero. I only recommend this option if you are planning to travel extensively throughout the island. If you do plan to rent a car, make sure you do it as far in advance as you can. Cars are in limited supply, so if you don’t book early you may luck out. For more information on renting a car in Cuba, visit this article. To drive to Varadero, you’ll travel along Vía Blanca. Click here for step-by-step directions. Time: Just like taking a taxi, the time to Varadero will be around 2 hours. Cost: The cost will be any price you are already paying for the rental + gas. Time: It will take around 2.5 hours for you to get to Varadero via Transtur. The second bus option is Viazul. The quality of the bus is around the same as Transtur, but the trips tend to take longer as they take more stops. You can try booking online on the Viazul website, but if you get a warning that the route is booked, don’t worry. It is most probable that you can just book in person at the Viazul Bus Station. Time: The trip will take 3 hours using the Viazul bus. Cost: The price is $10 each way. The last option is traveling from Havana to Varadero by train. I recommend this option the least as it does take the longest. But, if you have plenty of time to spare, this option will do the least damage to your pockets (money-wise). To purchase tickets for the train, you’ll have to visit the Le Coubre Station in Havana. For additional information on the train, visit this page on seat61. Time: The duration of the trip would be 4 hours – an hour longer than the bus. 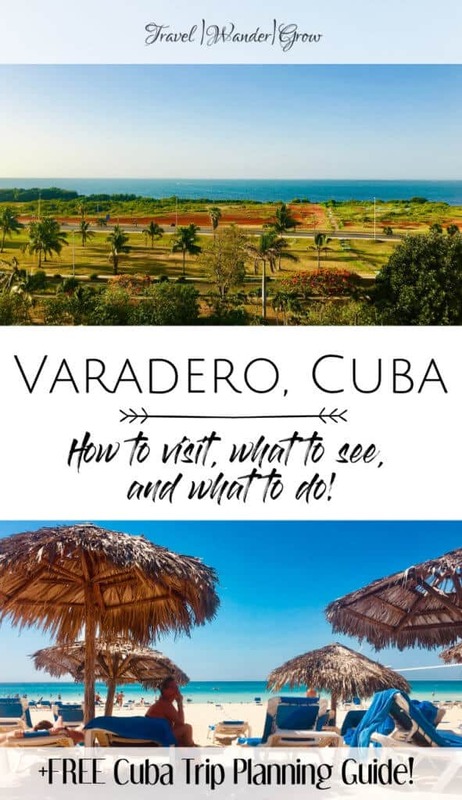 So now that you know how to get to Varadero, I’d like to leave you with a few ideas on when to visit, where to stay, what to do once you get there. As it is a Caribbean island, you can expect hot temperatures all year long. The hottest months are from May – October, with temperatures ranging in the mid- to upper- 80s. The cooler months (November – April) see temperatures ranging in the mid- to upper-70s. Outside of the temperature, the main consideration you’ll have is the rain. The warmer weather coincides with rainier weather, with the rainiest months being June, September, and October. So if you do plan on spending time at the beach in Varadero, those are the months I recommend you avoid. So, it goes without saying that you NEED to stay on the beach in Varadero. There really is no better feeling than waking up and just walking out of the beach as you please. **Note there may be some affiliate links below. Please see my Affiliate Disclosure for more information. Barceló Solymar: This is an all-inclusive hotel on the beach that has a lot of amenities onsite. We had a lovely time here. I would call out that the food is pretty average at most spots, so it is best if you book at one of their higher-quality restaurants in advance for the best dining experience. Sol Palmeras: This hotel is nice and modern, and also on the beachfront. I can’t speak for the overall quality myself, but it is one of the most popular options on Booking.com right now. Rooms Calle 44: Rent a room in a cute B&B right on the beach! Alejandro y Karla Varadero 2: This bright and airy place is also just a few steps from the beach. Note, if you are new to Airbnb, use my link to get $40 off your first stay! The Beach 🙂 – This is, of course, the primary attraction in this town. The water is crystal clear, warm, and also shallow – meaning you can wade out pretty far, just soaking it all in! Parkque Josone – A lush and green oasis that is located walking distance from many of Varadero’s resorts. Catamaran Cruise Tour to Cayo Blanco: This cruise will take you to Cayo Blanco from Varadero. While there, you have the opportunity to snorkel with the dolphins and witness the sea life living along the coral reef. Yumurí Valley Jeep Safari: Explore the Cuban countryside and swim / snorkel at Playa Coral and Saturno Cave. This experience also includes a tour of Matanzas as well. 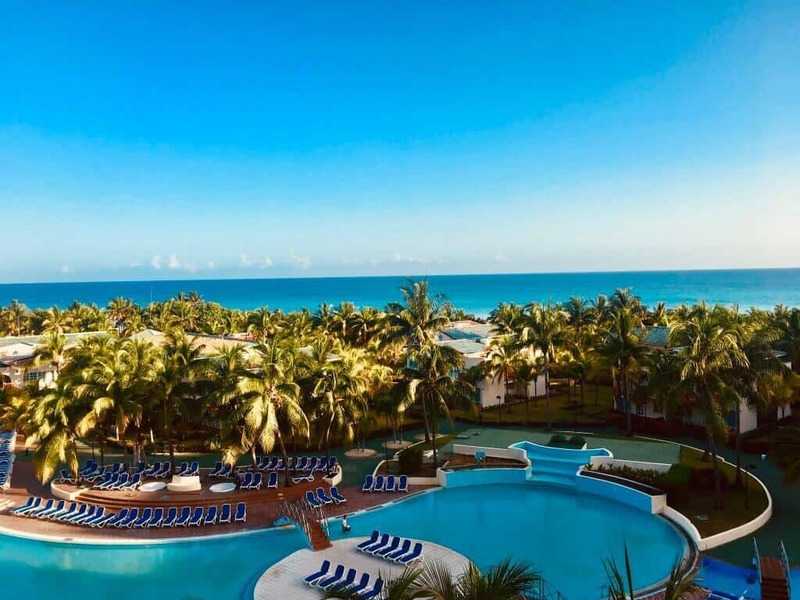 I hope this post gave you all the information you need to make an informed decision on getting to Varadero. So now it’s up to you – How will you be traveling there? If you have any questions, feel free to drop it in the comments below! Where to Eat in Havana – Showing you that you can eat very well in Cuba! This guide to Varadero is incredibly helpful. You’ve really thought through everything you need to know before planning a trip. Amazing pictures! I can feel the wind from the ocean and can imagine the swaying of the palm trees. The water is so clear too. I definitely want to go! Thank you for this helpful resource. Saving this guide for later! Glad that you found this helpful Johanes! I hope that you are able to reference it on your next trip to Cuba :). Varadero looks like an amazing place to visit! Thanks for sharing ♥️ ♥️ By any chance you are interested on doing collaborations, you can check out the collaborations portal of Phlanx.com and connect with amazing brands!